Our Mission: To amplify the love, hope and compassion in the world, making each health journey easier. 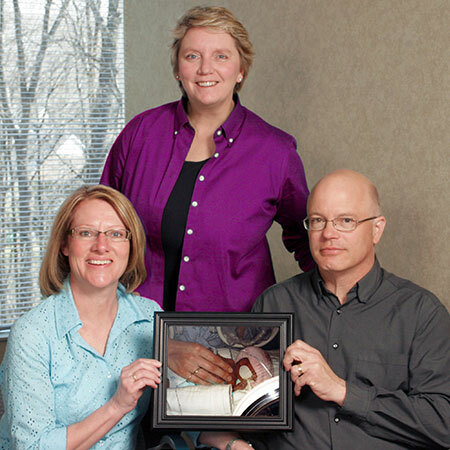 That inaugural CaringBridge website allowed people to easily get updates and offer support and encouragement. Word spread, and others began to request their own CaringBridge websites. In 2002, CaringBridge became a 501(c)(3) nonprofit organization, providing support when it’s needed most. Our reach has grown: Since 1997, more than half a million CaringBridge websites have been created. One in nine people in the U.S. have used CaringBridge to rally support for a loved one during a health journey, and our reach extends to 236 countries and territories around the world. See how a CaringBridge website works. Without the compassionate support of donors and the dedication of volunteers, our nonprofit wouldn’t exist. The generosity of our donors and volunteers humbles and inspires us every day. See ways you can get involved.